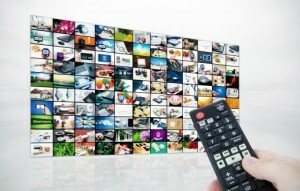 Entertainment subscription services: what’s available? The much-anticipated arrive of Netflix on the shores of New Zealand is a game changer in more ways than one, bringing online streaming even more to the mainstream that it is already. 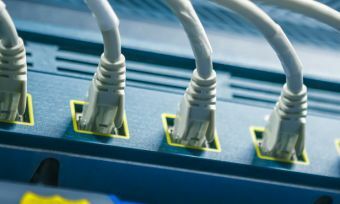 While an estimated thirty thousand Kiwis use a VPN connection to subscribe to online streaming services in the US, many are either unaware of this option or unwilling to do so. However, now with Netflix’s New Zealand launch, it’s timely to review what services are available to stream your entertainment. We’ve compiled a run-down so you can choose for yourself. Launched in late 2014, Lightbox is an online TV service accessible on computers, tablets, Smart TVs and PlayStations. Lightbox offers viewers around 5,000 hours of content for a monthly subscription fee of $15 and includes programs such as Better call Saul, Sherlock, Modern Family, Outlander, Vikings and much more. According to Lightbox’s head of sales and marketing David Hine tens of thousands of Kiwis are already loving the content Lightbox is providing. The cost of $15 per month. Arguably the service that’s putting the fledgling internet streaming services in hot water at the moment, Netflix is a television and film streaming service launched in New Zealand on the 24th of March, after enjoying immense success in other parts of the world (namely America and parts of Europe). The service will no doubt enjoy quick popularity thanks to both its overseas base and the number of New Zealanders who have been accessing the overseas version. Cost is $15 per month. Owned by Sky TV, Neon offers a 30 day free trial and offers programs including Game of Thrones (season 4), The Fall, The Walking Dead, House of Lies, Rogue and more. After the free trial, Neon is $20 per month with no lock-in contract. It uses standard definition quality and syncs with your internet speed. A slightly different proposition, Quickflix provides access to a catalogue of TV shows and movies for a set monthly cost of $12.99, with the range of titles changing continually. You can view Quickflix via the website from your PC or MAC, on your smart TV, on your smartphone or tablet, on your gaming console and via Google Chromecast to your TV. You can also buy for an additional cost entire seasons of TV shows or movies (termed “premium content”) that you then own and which will not expire. VideoEzy is the other player in the New Zealand market, but rather than a monthly fee you pay as you go to rent or buy TV shows and movies (TV episodes can only be purchased – at time of writing the price is $2.99 SD or $3.49 HD). With such a well of entertainment-enabling streaming systems at our fingertips, it’s no wonder that Kiwis are glued to their screens – big and small. Happy viewing!